When Trojan decides to do the only US condom World in sheep gut it gives a marvel not stung beetles. 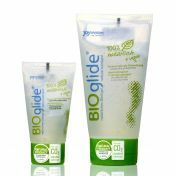 The Americans call it their "Bio Condom" since it is latex-free plastic and is really made of lamb intestines hose. At every time, it takes them 10 lambs per box for the intestine closed on one side! LOL. Brigitte Bardot will not be happy. 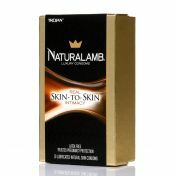 The feel of Trojan Naturalamb is quite formidable and unique: the skin of lamb casing transmits heat to your partner and gives you more feel. This is what is called "the skin against skin sensation." Oh by the way, for those that vibrate: it is at once the most expensive US World condom! Imagine the addition if you make love in the last Lamborghini Veneno with in the glove box (y 'has one?) A Trojan Naturalamb! If it's possible. In all cases, you will not regret it, the sensation is unique. 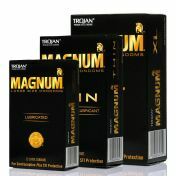 That is why we do not call the Trojan products, condoms, because under French law, these products do not have the CE mark which do not conform to ISO 4074: 2002, they can not preserve yourself of Sexually Transmitted Infections (STIs) and do not allow you to manage your contraception. As such, they can not benefit from the simplified VAT 5.50% because they lose the medical device classification. And for those who do not understand: buy it, it's a novelty in France but a condom in the US and Canada! Tabernacle!